For the women out there who are neither cultivated or domesticated. The uncontrolled and unrestrained. Just wild. This soft and comfortable racerback tank top is lightweight, form-fitting with a flattering cut and edgy touch.  At The Offroader Supply Co.™, we are guided by the belief that companies can be a force for good. We are committed and guarantee that with each and every sale, you will be directly supporting Humanitarian, Environmental, and/or Clean Water efforts and projects across the globe. After placing your order, we'll send you an order confirmation email with an option for you to choose between 1 of 3 of the below 2018 Impact Projects you'd like your order to support. Check back in on each of the below impact pages for regular project updates, funding status, and recaps. For every product sold, and in partnership with One Tree Planted, we will plant one tree in the USA. You can learn more about our 2018 Environmental Impact Project here. For every product sold, we will donate one school meal for a child, everyday for an entire year. You can learn more about our 2018 Humanitarian Impact Project here. For every product sold, and in partnership with Wells Bring Hope, we will fund a deep water well that will bring clean, safe water to 5-600 people in Niger. You can learn more about our 2018 Clean Water Impact Project here.